It takes few minutes to get benefits with quotes on auto, motorcycle or home insurance by Progressive. A major car insurance company, Progressive is an experienced insurer that offers a variety of policies making up quite a comprehensive list, while specializing in Vehicle Insurance. As their name suggests, they strive to implement new technologies and offer innovative services such as the Snapshot option. Auto Insurance. Progressive provides comprehensive car coverage which includes liability arising from doing damage to others, injuries you have suffered, collision/comprehensive, underinsured/uninsured motorist, rental fees, lease/loan pay-off coverage, and more. Progressive Auto Insurance takes pride in its elaborate system of discounts, which features such options as bundles (you can get 5% off if you insure your vehicle, house or condo), safe driving discounts, online quote discount, Snapshot, etc. As to the latter, it is an innovative means of driving habits assessment introduced by Progressive which implies installing a small device that will monitor the way you use your vehicle and determine whether you brake often and how fast you do it. Using this data, the company will be able to offer you an additional discount if they find your driving style safe. Boat/PWC. Progressive Boat ins includes mechanical breakdowns, total loss, towing coverage, and many other options. One of the characteristic features of this policy is that the company does not require any navigating plans or marine survey – you are free to boat wherever you want because your policy remains valid whatever US or Canadian lake or river you choose, and even if you want to fish in the ocean, 75 miles of the cost are yours to explore. Classic Car Ins. The average cost of Classic Car policy provided by Progressive is about forty percent lower than the cost of a standard car policy. Under the terms of such a policy, you can take your car to exhibitions and clubs, and even drive it for pleasure, but it should not be the car you use everyday. Classic cars are supposed to be kept in a garage. 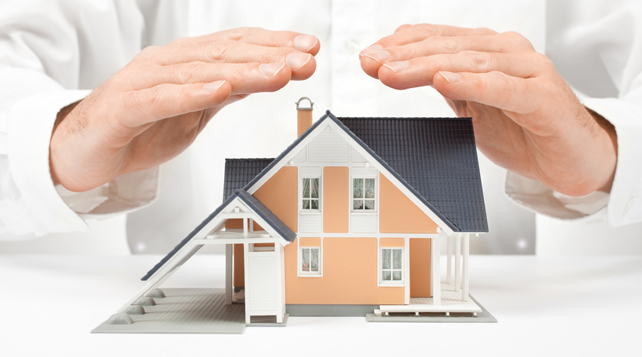 The policy is designed to offer you reimbursement in case of total loss or damage. If you happen to need parts, which can be very rare, the company will strive to find them at no additional cost. You can state your car’s guaranteed value to agree on the sum to be paid off, and no depreciation reductions will apply. Golf Cart Coverage. Regardless of whether you own a golf cart that uses gas as power source or electricity, your Progressive policy will be valid even if you use the vehicle off the course (for instance, to drive within your neighborhood). You get coverage even if you use the cart outside your property. Note that commercial usage is not covered. Standard Progressive golf cart coverage includes liability (both bodily damage and property loss), accessory, collision, comprehensive and trailer coverage, and road assistance. Motorcycle/ATV Insurance. Progressive sticks to an approach which enables its customers to get not the sum equal to the depreciated value of the lost part or vehicle, but the price of a brand new item. For example, if your tyres are used and subject to depreciation value reduction, the insurer will provide you with money to buy new tyres and not the equivalent of the old thing you have lost. The same applies to motorcycles. Such an approach can mean thousands of extra dollars paid to you. RV/trailer Ins. This kind of a policy can be of two types depending on the way you use your RV: it’s either a recreational RV policy or a full-timer’s RV policy. If you are using the latter, you get additional perks (compared to the former) such as theft and injury coverage, and the general approach to RVs that are used as primary homes is more like Homeowners’ Insurance. Snowmobile. There are thirty one states in which this kind of a policy is available. The coverage implied by it features the standard set of liability, uninsured/underinsured motorist, roadside assistance, comprehensive/collision coverage, and more. One policy can cover up to 5 drivers and 4 vehicles. Besides, you are not obliged to have a car policy or insure your motorcycle to add a snowmobile to it: the option of insuring only your snow vehicle is what makes such a policy convenient. Among other products are Segway Insurance, Commercial Insurance, Home Insurance, Life Insurance, Business Insurance, ID Theft Insurance, Health Insurance, as wee as flood, electronic device, pet, mobile home, travel, Wedding&Event Insurance, car shopping, auto financing, auto refinancing, condo, homeshare, mechanical repair, mexico auto, and Renters Insurance. As you can see, despite specializing in Vehicle Insurance products, Progressive as well as Esurance can offer you solutions to insure almost anything you may need, be it a property, a pet or an event.